A composite double-network hydrogel with ∼90% water content. A few kinds of body tissue, similar to cartilage and meniscus, have little or no blood supply and can’t recuperate whenever harmed. One promising way to deal with this issue is to infuse a hydrogel loaded with repair cells or medications into the damaged area in the expectation of invigorating tissue recovery. Be that as it may, commercials hydrogels don’t remain put in the wake of being connected to the treatment area as a result of pressure from the body’s developments and the flow of bodily liquids. Doctors, therefore, use special membranes to keep the hydrogel in place, yet those membranes are attached with sutures that perforate the very tissue the hydrogel is supposed to heal. 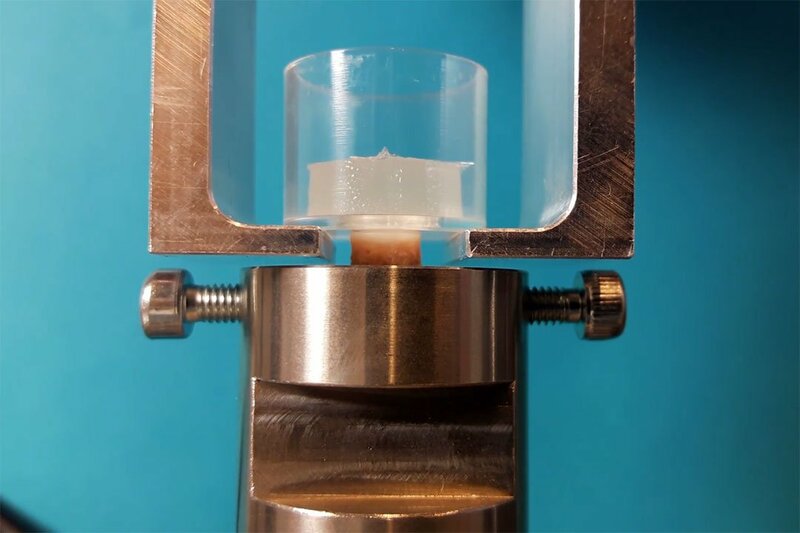 Now, EPFL scientists have created a biocompatible hydrogel from almost 90% of water to naturally adheres to soft tissues like cartilage and the meniscus. This hydrogel can withstand mechanical stresses and extensive deformation and therefore eliminates the need for a separate binding process. In reality, this newly created hydrogel consists of a double-network matrix and a fiber network. This structure safeguards the material’s strong adhesive capacity by blunting the effect of mechanical stresses. The study is published in the journal Applied Materials & Interfaces.